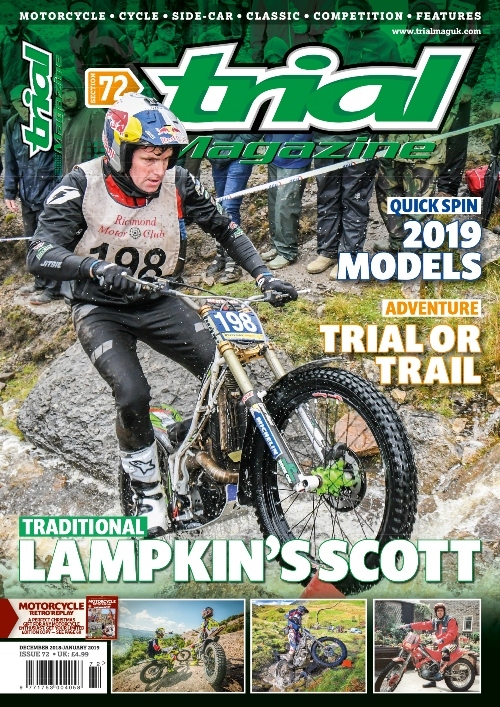 Yes Issue 72 is available from Friday onwards in full colour gloss with all your Trials News, Action, Events, Product Tests, Interviews and so much more for you full throttle addicted trials junkies. As you would expect from such a high quality independent publication in its 116 pages brought to you in full colour gloss it carries superb images and interesting in depth articles from a team dedicated and passionate about the sport of trials. TRS 2019 Its all Systems Go!